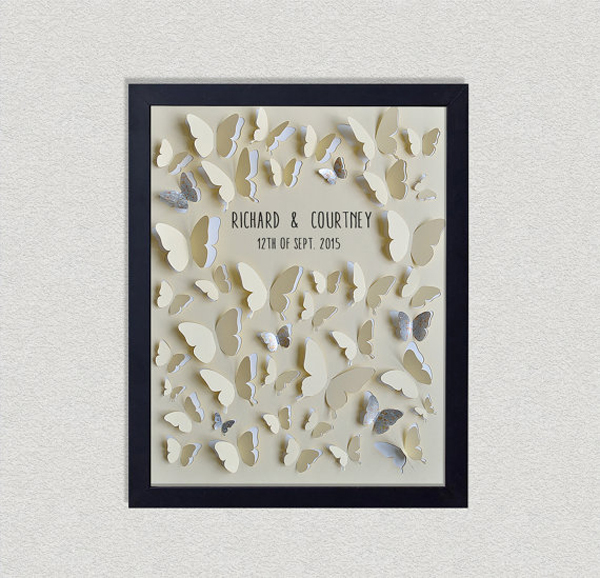 Happy to share with you these lovely wedding guestbooks that we found on Etsy, our new obsession!!! 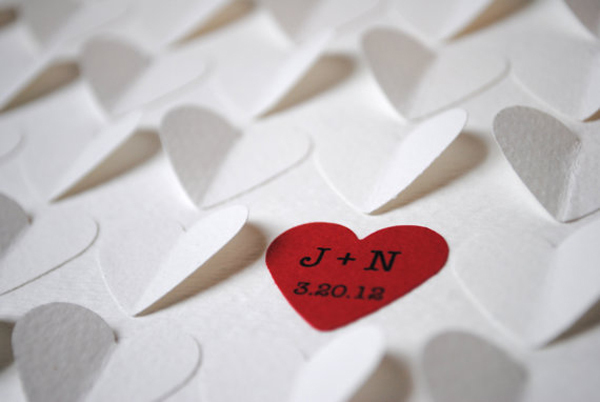 Some of the ideas we are featuring are wonderful alternatives for wedding books. 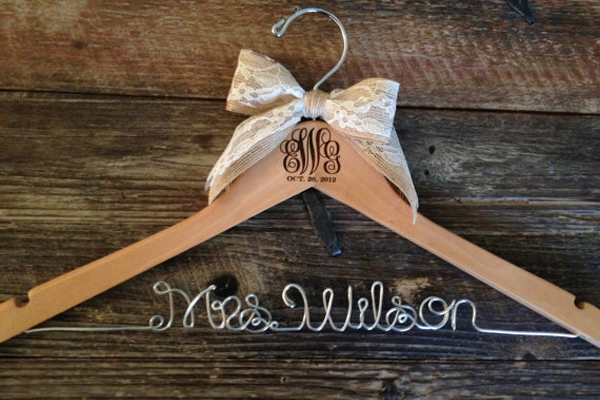 They are so stylish and modern and they will definitely be fun and enjoyable for your wedding guests to participate and share their warmest thoughts. 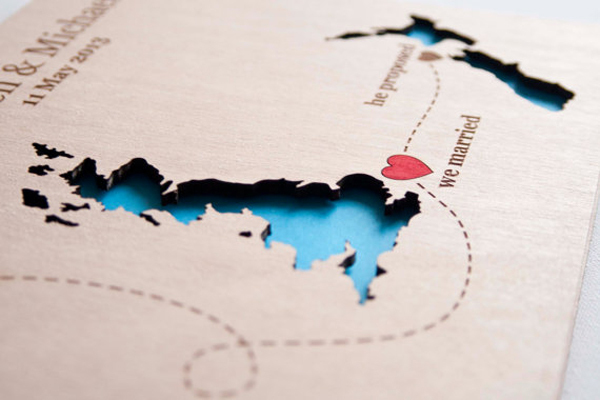 A heartfelt gift that the couple will cherish for years to come. 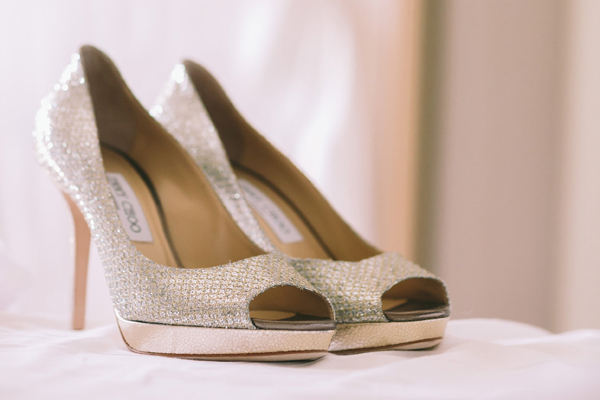 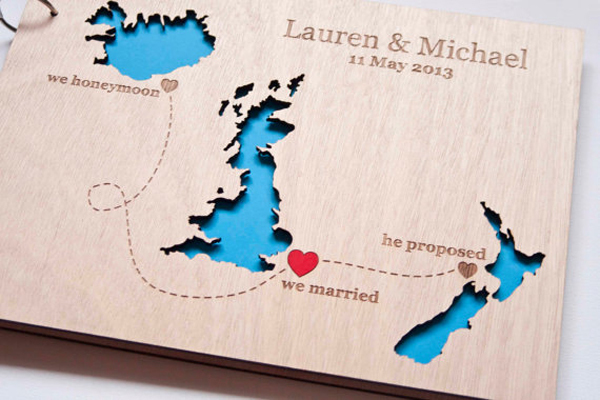 Ready to see the wedding guestbooks we discovered on Etsy? 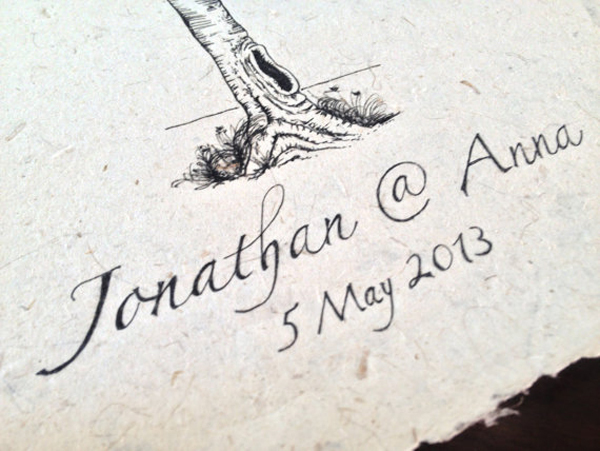 The custom made wooden wedding guest book has a unique design engraved on the cover: a Boab tree branch, a mystical Australian tree. 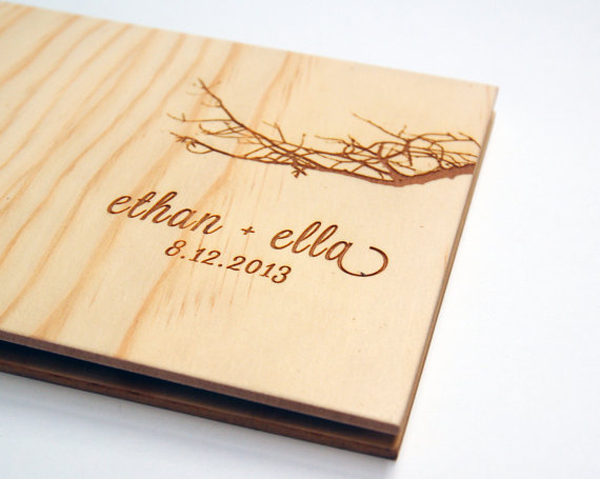 This custom made wedding guest book is made from wood and has the couple’s information laser engraved. 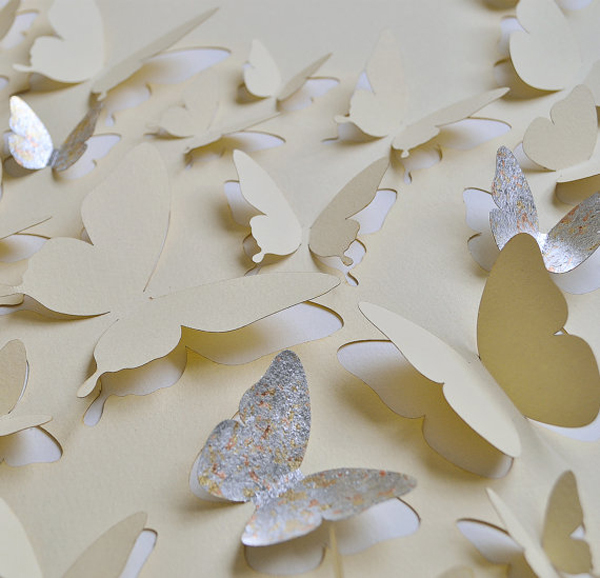 Beautiful details and so creative! 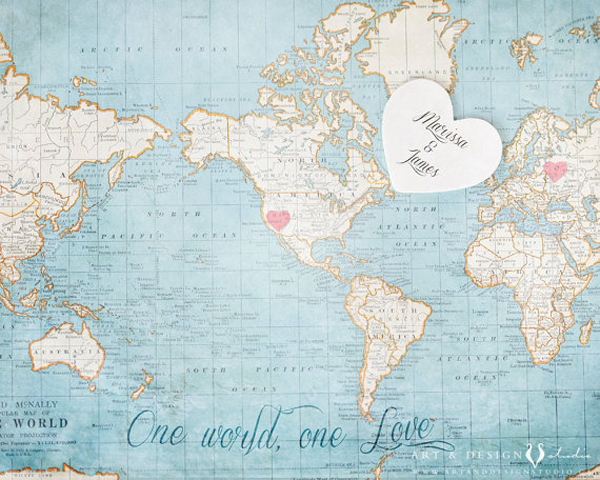 The vintage map is a great idea for an alternative guestbook. 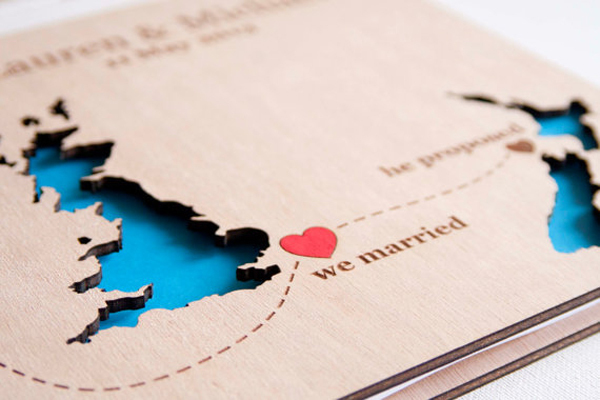 The map is a signing board that guests share their warmest wishes… a beautiful keepsake gift for the newlyweds. 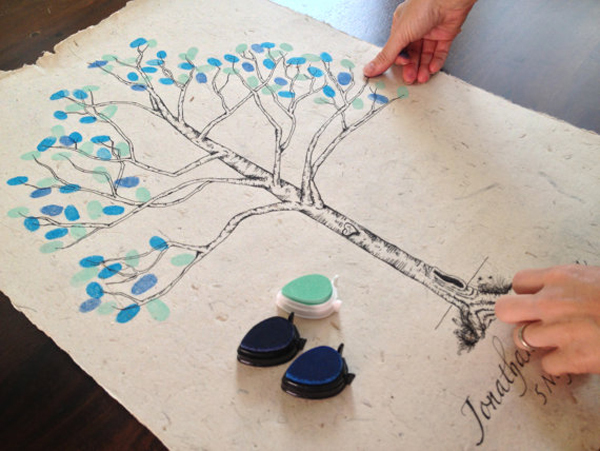 The handcrafted guestbook alternative is a perfect idea for a modern wedding! 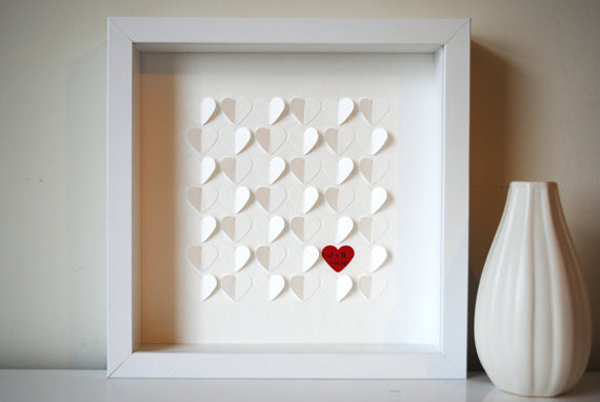 The guests can sign their names on the hearts creating a very thoughtful gift for the newlyweds. 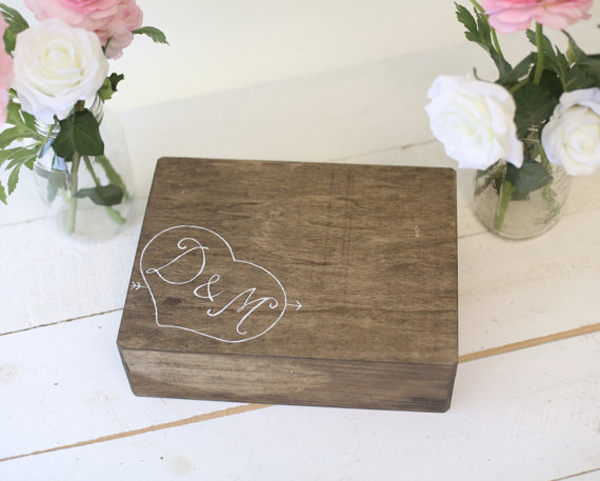 This wooden rustic guest book alternative is a custom made wish box that your guests can write their wishes and advice on wooden hearts. 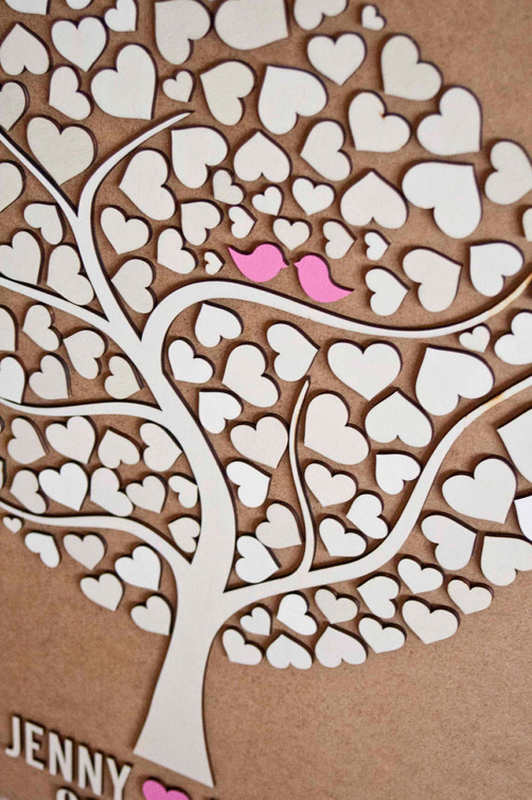 So adorable, I love it! 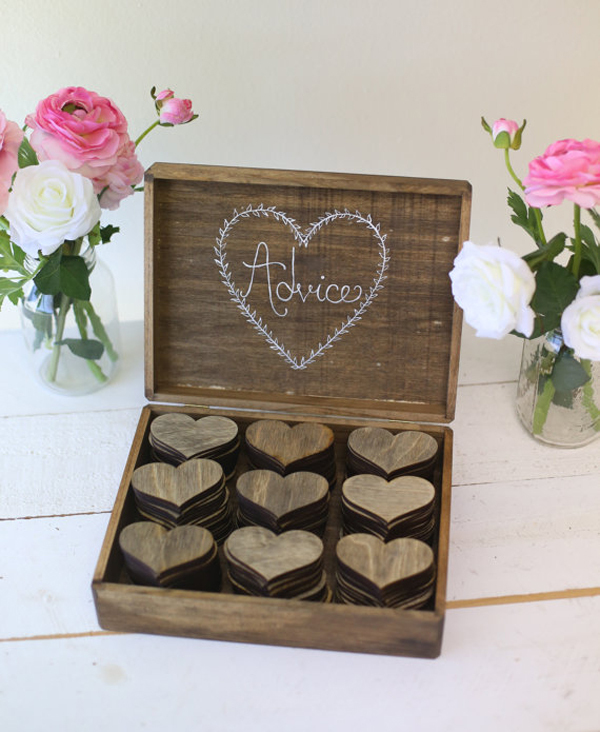 You can pick any color for the wooden box to match the colors that you have chosen for you wedding decoration and the hearts come in a dark wood finish. 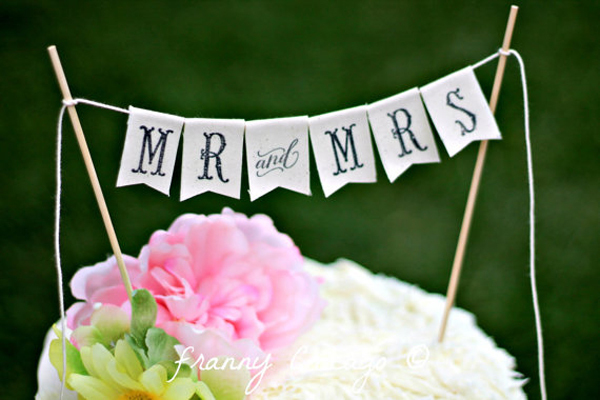 Ideal for a rustic chic, shabby chic – DIY – garden – romantic – country – outdoor wedding! 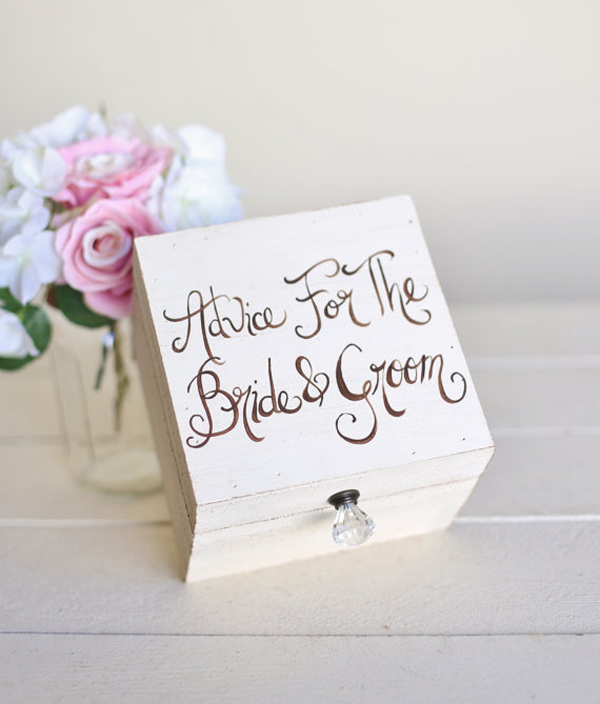 A romantic wooden wish box that is hand painted with Advice For The Bride & Groom. 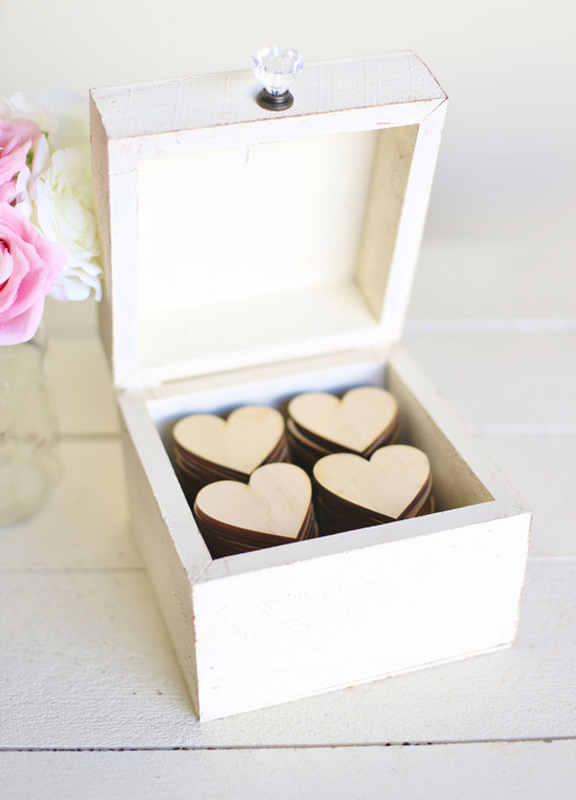 The wood hearts have a natural finish. 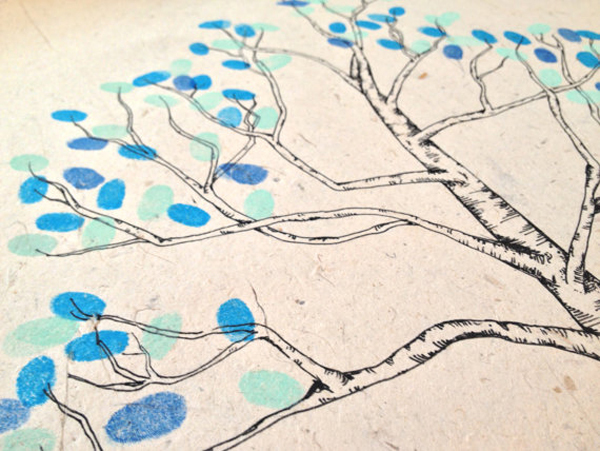 A lovely guest book alternative that can also be great for a bridal shower! 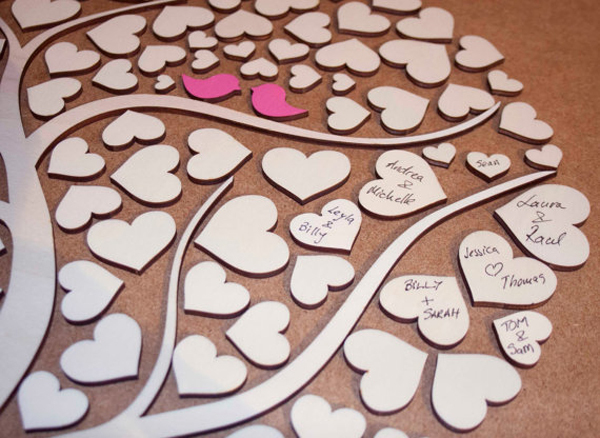 A beautiful idea for a wedding guest book alternative is the “Tree of Hearts”. 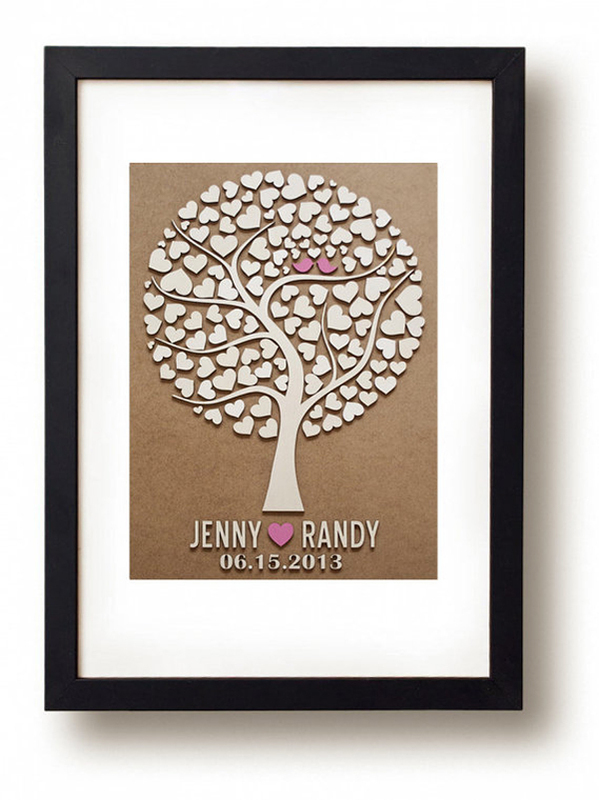 Guests write their names on the hearts and the newlyweds can frame this wonderful gift and display in their home! 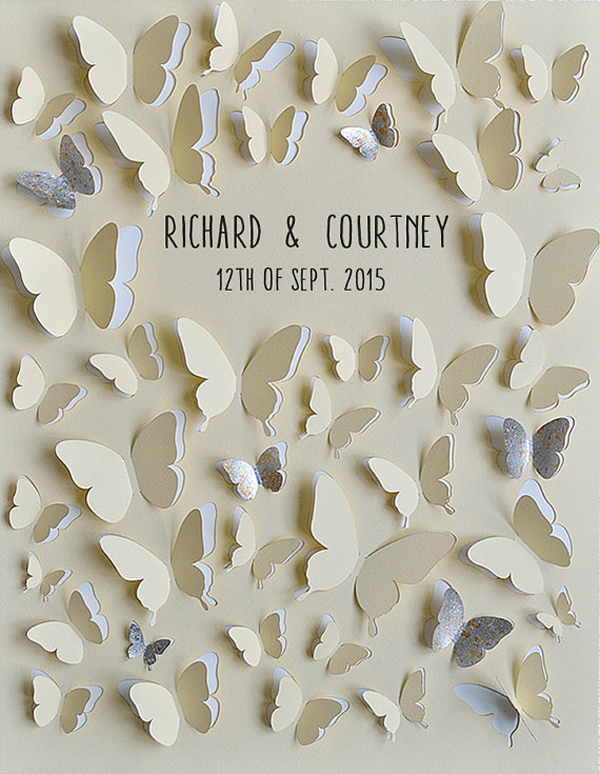 Loving this romantic wedding guest book with the butterflies!